Toddlers and technology do not mix. Two weeks ago, he was playing on my iPod Touch and randomly deleting things, so I put a password on it. A week later, I found out that when the password gets entered incorrectly 10 times in a row, everything gets deleted off the iPod. Toddler-proofing fail, Apple! About the same time I put a password on the iPod, I also password-protected my Kindle, again for toddler-proofing (he would lose my place in the book, which is a PITA to find again). 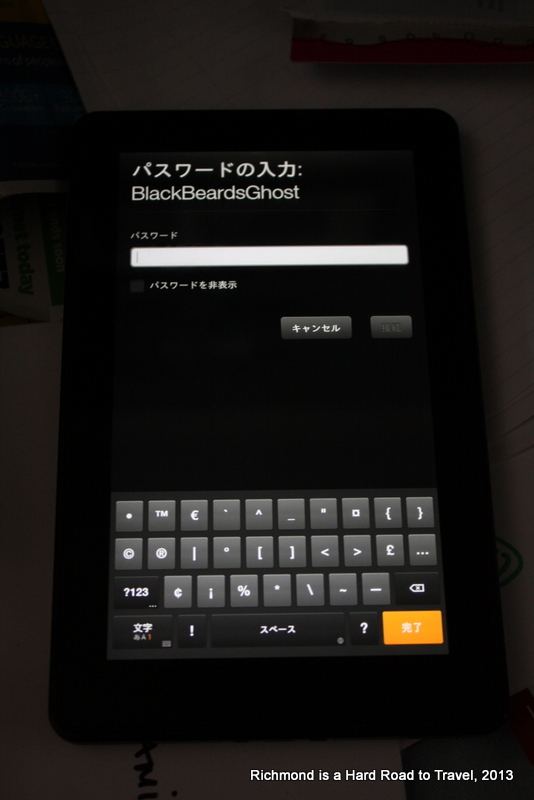 Today, cracked the password, wiped the entire Kindle, changed the language to Japanese, and attempted to connect to our neighbor’s WiFi (BlackBeardsGhost). 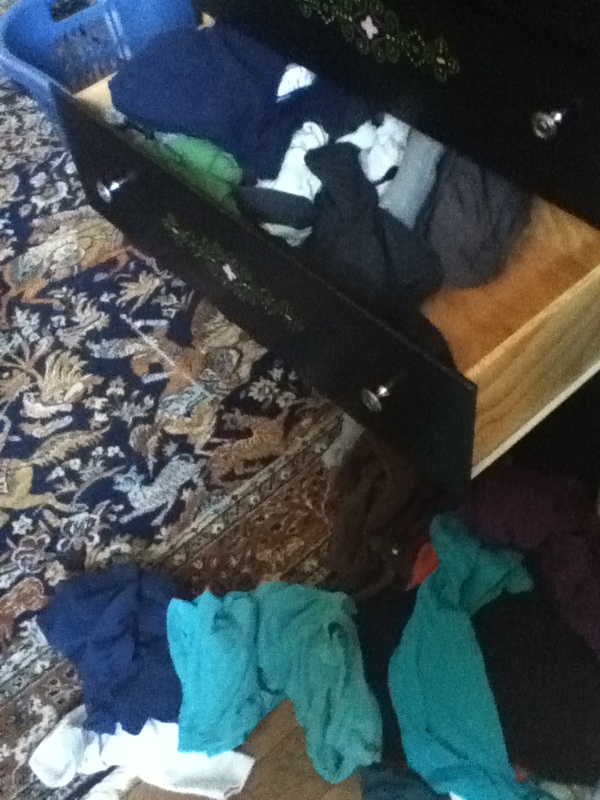 All in about two minutes. What I found and was very confused by until a friend on Facebook who reads Japanese told me what was going on.